$2,500 PRICE REDUCTION (February 2019)$5,000 PRICE REDUCTION (January 2019)A comfortable cruiser with speed! The C&C 37/40+ was designed by Robert Ball in Canada, to keep a small family or cruising couple comfortable while underway or at anchor. This one boasts newer, full cruising gear that is tested and functional!One of only 80 built – MALO has been cruised on the West Coast of the US down to Puerto Vallarta, covering 4,000 nm with only 100 hours under power. She likes light air, points well and sails flat.She now sits in paradise, ready and waiting for her next owners! These don’t come on the market often, so don’t let this one pass you by. United Yacht Sales New Jersey would love to guide you through a personal showing of this 40' C&c 37/40 1989. 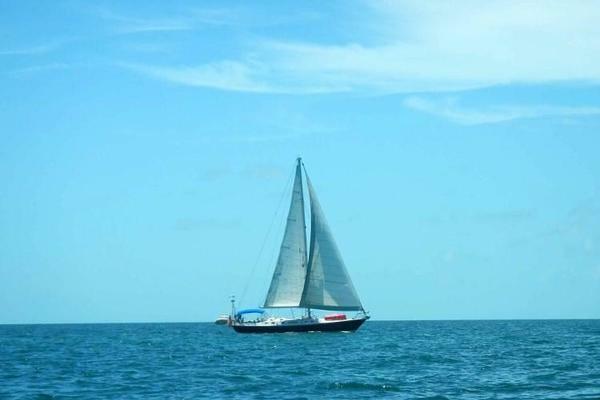 This yacht for sale is located in Guaymas, SONORA Mexico and priced at $72,400. For a showing please contact us by filling out the form on this page and we will get back to you shortly! On deck, the hull is a single unit balsa core with fiberglass and Kevlar hybrid. Deep lead fin keel with small bulb, inboard spade rudder, walk-through transom stern with swim ladder.T-Shaped cockpit with steering pedestal, coaming seat backs, storage lazarettes. Hinged helm seat allows access to transom door for walk through stern.Below decks, the spacious main salon features a folding centerline dinette surrounded on either side by settees. The wraparound nav station is to port, full galley to starboard. Aft is a head with separate shower.Full aft is the master stateroom, with centerline queen berth.Full forward is the guest v-berth, featuring a louvered partition for privacy.Sleeps (7) total.